Arsenal superstar Mesut Özil had been heavily linked with a move to rivals Manchester United, as his contract negotiation drags on. However, it turns out that the Red Devils are yet to make any move for the German, but are one of the three clubs he wishes to sign for should he depart the Emirates, as per M.E.N Sports. 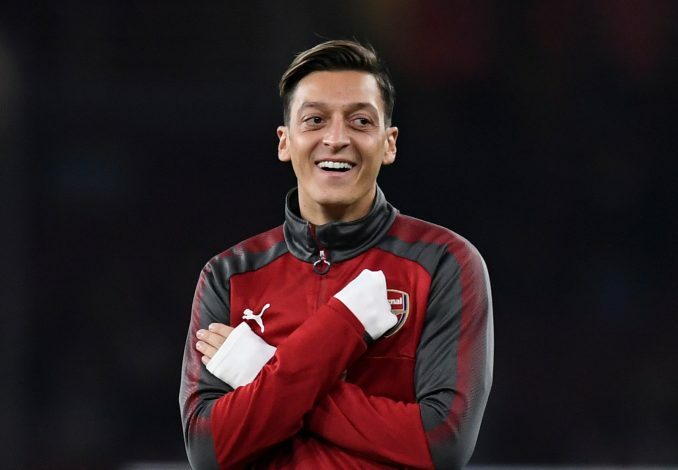 Özil, alongside fellow contract rebel Alexis Sanchez, has been the centre of media attention in North London due to his prolonged contract talks. The star duo is reportedly demanding a wage raise, which the Arsenal officials are reluctant to offer. The German is said to be demanding a pay cheque of £200,000-a-week if the Londoners wish to keep him. Further, the talented playmaker, whose current contract with the Gunners expires at the end of the season, is also reported to have been asking for the No. 10 shirt, which is currently sported by Jack Wilshere. On the other hand, M.E.N also reported that United are one of the three clubs, alongside Barcelona and Real Madrid, that the former Schalke man wishes to switch to if negotiations break down with Arséne Wenger’s side. The Mancunian giants certainly have the reserves to fulfill the midfield maestro’s financial requirements. Furthermore, Jose Mourinho being a former colleague of the player at the Spanish capital, may seem like a more comfortable option for Özil to work under. Nevertheless, a move to Old Trafford in January seems very unlikely, despite reports of the former Los Blancos star telling his teammates he wants a switch to United. The 29-year-old is believed to have maintained a close relationship with the Portuguese, and may fancy a move to United in order to rediscover his best form.